Better than new custom built home offering an extensive list of desirable features, space, in a highly desirable location! The jewel of the neighborhood situated on fully landscaped corner lot with iron fence, recently added large deck & awesome stone fire pit for outdoor entertainment & a rare heated/cooled/insulated 3 car garage w/ workspace. 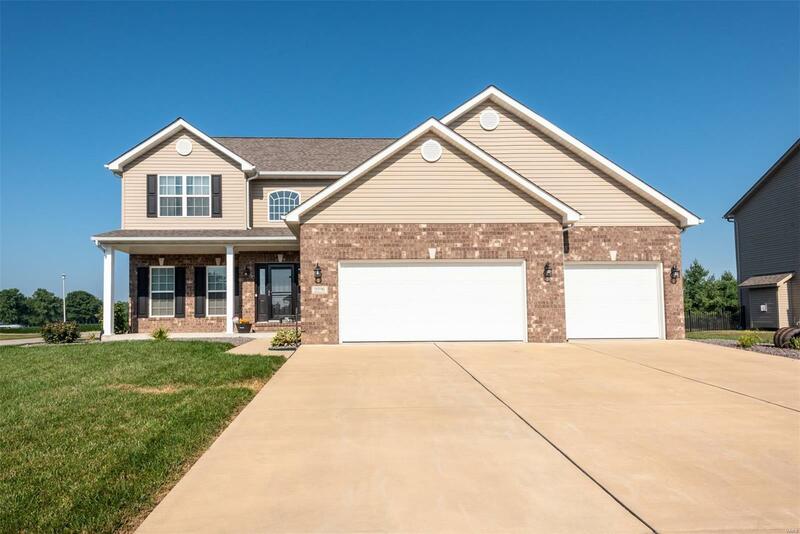 Home features all the favorites: hardwood/tile floors, coffered ceilings, open and spacious layout & granite counters. Open concept kitchen features large center island, custom cabinetry, stainless steel appliance & gorgeous counters. Main floor boasts beautiful grand entryway, formal dining room, living room with stunning coffered ceilings & fireplace. Full finished basement with family room, large bedroom, and storage. 2nd floor grand master suite is spacious, completed by master bath with separate shower/tub, dual vanity & amazong walk-through closet connected to laundry. 3 spacious bedrooms complete the home! Everything youâre looking for!